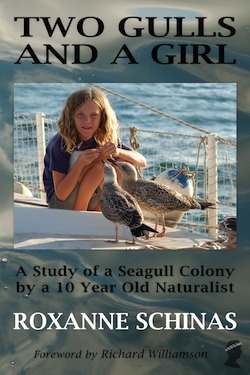 Over the course of the past two months the Ship’s Naturalist has been making a survey of a colony of breeding gulls. Each nest which she finds is carefully marked on her hand-drawn map, and progress is recorded in her diary. 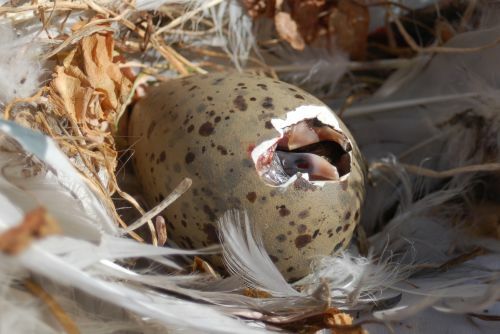 The project is still on-going – every time we visit the colony there are new babies to photograph and new pieces of egg-shell to collect – but we decided that it was high time we let you take a look at the first instalment of the report. This covers the period from early March through to April 13th. Isla Perdiguera is a small island in the middle of the Mar Menor, a little inland sea on the coast of Spain. Although to the average visitor the island would seem completely dry and empty it is actually covered in life. All who look closely will see the rabbits running into the grasses and hear the little Sardinian warbler scolding from the bushes. Any who are curious will turn over the stones and find millipedes curled up tightly in the dusty earth. You must look very closely to see the ants and the spiders crawling in the bushes, looking like the leaves and twigs that surround them. But there is one animal that even the most ignorant and unobservant visitor could not fail to see, and that is the gulls. 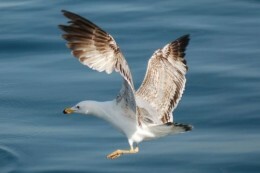 There are several types of gulls in the Mar Menor. 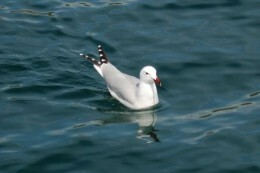 There are Larus auduinii, the rare, endangered Audoin’s gulls. There are a few black-headed gulls and there are some slender billed gulls. But the commonest gulls by far are Larus cachinnans, the yellow-legged gulls. (The bird books call them L. cachinnans, but most websites call them L. michahellis.) 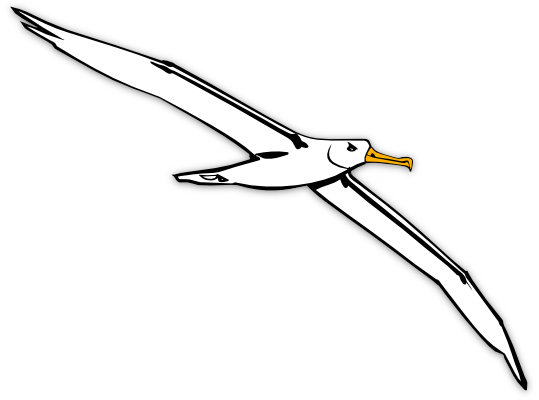 The yellow-legged gulls have a white belly, chest and head, grey wings, black and white tail feather, a yellow beak with a red dot, and – of course – yellow feet and legs. 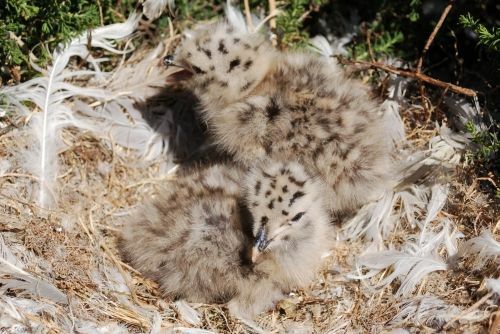 These are the gulls which nest on Isla Perdiguera. The island must be heaven, as far as they are concerned, for they could not find a safer place to breed. Apart from humans there is almost nothng here to hurt the eggs or the chicks. Even humans rarely go round the island, prefering to stay on the beach. So, as a result, the population of gulls has grown huge. The island has hundreds of nests on it. Since the island cannot possibly support such a large population the birds must have help – from humans. The humans are not actually interested in helping the gulls, but the gulls have learnt to take advantage of our activities. They fly along after fishing boats, and they visit the rubbish dumps. Although they would probably prefer fish, and it would definitely be better for them, it is easier for them to find food at the dump. Once we took apart something that a seagull had sicked up, and we found it was a piece of raw beef steak! The gulls always hang around at the island, and in the spring they nest there. Their nests are little hollows in the ground lined with grass and leaves and feathers which are made into a shallow bowl. The nests which have the most feathers are always near to a dead gull! An ideal site is sheltered by a bush. Sometimes it is almost under the bush. The bush hides the nest and it also gives somewhere for the chicks to shelter from the sun. The best place for a nest is on the shore of the island, and this is where most of them are. It seems that the closer the water the more valuable the nest site is. (NOTE: The Admiral begs to differ with this opinion. She thinks that the nests by the shore are the ones which are the most easy to find, because the path follows the shore. Thus, we have the impression that there are more nests here.) The nests by the shore are almost always sheltered by bushes, and sometimes the bush is almost over hanging the water. 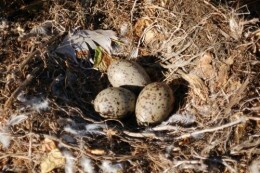 The nests are always on the side facing away from the water. I found the first nest on March 9th, but the birds had probably been making them for at least a week before this. I found the first egg on the same day. This was very early, and I think that some of the gulls were still laying eggs in the middle of April. The eggs are greenish brown. Some are darker than others, some are browner, and some are bluish. They are covered in blotches, speckles, and spots of a very dark brown colour, with some pale greyish blue spots. The colour and pattern varies a great deal. It probably depends on what the mother was eating (or it might be genetic). The mother nearly always lays three eggs, but it is said that only one chick survives in each nest. This is one of the things we want to obseve, to see if it is true. At the moment, in April, there are three tiny fluffy chicks hatching in each nest. 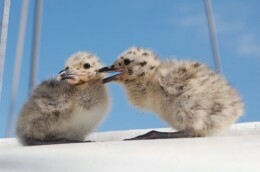 But when we were here in June of last year there seemed to be only one chick at each nest. The other two had apparently died. We have been told that the parents cannot find enough food for three huge chicks, as big as themselves, and the strongest chick gets all of the food that they bring. Presumably it would be the first chick out who would be strongest, as he would have a head start. His siblings starve. 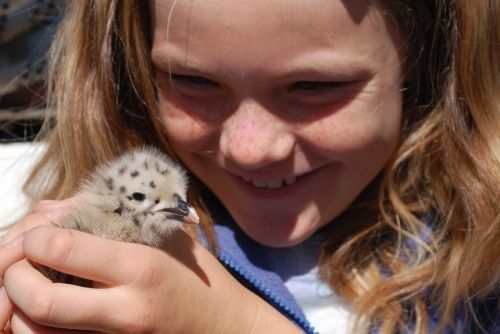 So my sister and I decided to save one chick. 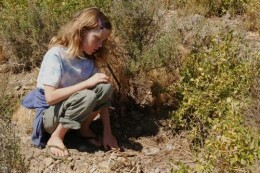 On the day that we found the first nest we made a plan. On the day that we found the first chicks we scooped one up, without telling Mummy, and brought it home. Mummy was… not thrilled. We also found an egg that was hatching in another nest. It was cracking at one end. We got it so that we could watch it hatching. 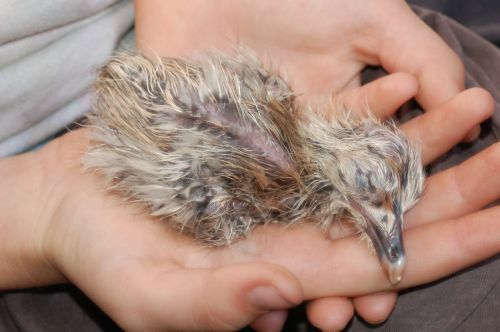 This second arrival was actually Mummy’s idea – she said that it would be better than continually rowing ashore, every hour, and returning to the nest and disturbing the birds – but I don’t think she was too delighted when we carried out her plan. To make the egg stay warm my sister put it inside her bra. This kept it at body heat. To our amazement we found that it was cheeping loudly! You could also hear it tapping and cracking. At night time we put the egg on a hot water bottle to keep it warm. The mother birds did not seem at all upset at the disappearance of their young, or they did not show it. They each carried on sitting on, and feeding, and caring for their remaining two young. We called the egg Remus and the chick Romulus, after the two children who grew up to found Rome. (More to the point, those two were brought up by wolves…) There was some disagreement about this, for after all, Romulus did kill Remus in the original story. In our case it is more likely to be the other way around. Romulus has proved to be a bit of a fool – but, after all, he did hatch on April Fool’s day. Young seagull chicks are very pretty, being soft and fluffy. 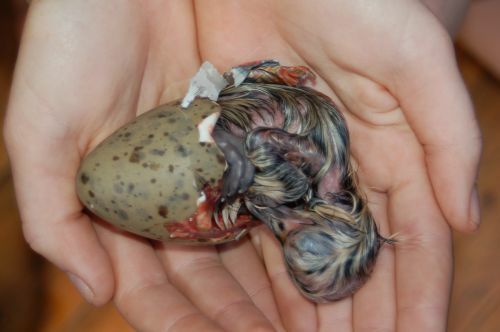 They are a similar colour and pattern to the eggs – pale brownish grey with dark brown blotches and spots. They have pinkish grey legs and feet, and black beaks. They do not get their yellow feet or beak until they are adult gulls, in about two years, although, of course, they can fly and look after themselves long before that (thank heavens). After more than a day of watching Remus fail to make the hole any bigger we decided to help him. Mummy took a pair of nail scissors and began to snip, very carefully, at the membrane which was around the hole, making the hole larger. 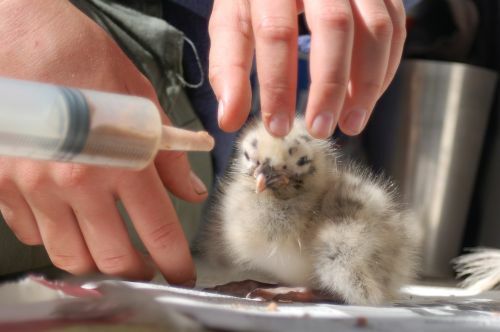 The membrane had dried out and was stuck to the chick, probably because of the hot water bottle. We soaked it off with warm wet tissues. We could see that there were blood vessels on the inside of the egg shell. I found out later that all the eggs have this, but at the time we were rather worried and thought that the chick was only half formed. This fear was added to when, finally, Mummy tipped Remus out onto her hand and we saw a big yellow bump at the end of the chick. A first glance we thought it was the yolk, and that he hadn’t finished forming (in which case he would die) but it turned out to be the chick’s tummy button, all swollen up. Perhpas it was because we hadn’t kept the chick damp enough (or perhaps they are all like that when they are newborn). When we got Remus out he was tiny, wet, cold, and very weak. We all thought that he was going to die. He had even stopped cheeping. I sat with him on my lap in the sunshine, to warm him up, and we fed him sugar water with a little syringe. And he lived! For about a day afterwards his tummy button was swollen and he had trouble crapping. But we put warm wet tissues on his bum and he loosened up and was cured. Romulus and Remus are doing very well. When they were small we fed them with a syringe. We fed them mulched up cat food and sardines. One of us would have to open the bird’s beak and the other pushed the syringe in to its mouth. Its mother obviously doesn’t do this for the bird. The baby bird must open its beak for itself. But Romulus and Remus wouldn’t do this for us, so we had to force feed them. After about a week they started pecking at the food on the tip of the syringe. Remus learnt this first and Romulus was rather slow, even though he is the eldest. Ever since we got them the birds would start cheeping whenever they heard the voices of my sister and me. They definitely recognise our voices, and they don’t start getting excited when anybody else talks. They get especially excited when I laugh. Maybe I sound like a seagull cackling! Romulus was 13 days old and Remus 11 when Remus did one of the stupidest things of his little life. Mummy and I were panting pictures of the birds and Romulus and Remus were walking around on the table, posing for us. The chicks were determined to walk off the table and kept trying to do so. Romulus had just walked off the table and landed on his back in Mummy’s painting palette, flapping his wings. We were all laughing, except Mummy, who was a bit annoyed. I was told to banish Romulus to the box where he and his step-brother lived. While I was lifting him in my pencil rolled down the table. Remus waddled after it. We were all laughing at him chasing it, and we laughed all the more when he began to attack it. Then, suddenly, without any warning, Remus picked up the pencil and swallowed it! He had never in his life managed to pick up anything before. And the pencil was almost as long as his whole body! We grabbed Remus. We held him upside down and peered up into his throat. He was very cross about this treatment and kept wriggling and screaming. We tried making him sick, but we couldn’t. Nothing we could do would get that pencil out of him. Remus just sat there making funny little noises. We were very upset, because we were all quite certain that our baby was going to die. Will Remus live? Don’t miss next week’s exciting instalment. Can’t wait till next week! Please post now what the pencil has done……. !